(Please include a note in your RSVP if you would like complimentary tickets for the musical.) 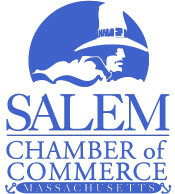 Join the Salem Chamber of Commerce for an After Hours Networking Plus event on the opening night of RAGTIME. Salem State University is hosting the event on the 2nd floor balcony of the Sophia Gordon Center for the Arts. Bring your business cards, get a drink, and network with other business professionals. Salem State has generously offered complimentary tickets to the opening night performance of RAGTIME, which will follow the After Hours Plus. RAGTIME is a Tony Award-winning musical described by the International Herald Tribune as "the best musical in twenty years," this acclaimed musical is filled with pageantry, emotion and hope, bursting onto the stage like no other musical. After Hours are free for members (and first time attendees) / $20 for non-members. April 11, 5:30pm - 7:30pm, Theatrical performance of RAGTIME follows at 7:30pm. After Hours are free for members (and first time attendees) / $20 for non-members.